Leaving the past behind ~ linking up with Suzie Eller at #Livefree Thursday. There’s a sweetness, an air of beauty to Ruth. The strength in her flow, in everywhere she goes, cries out that Ruth is a God girl. In Tuesday’s post we skipped through Ruth 1 and garnered strength for the move into a new season. Are you ready? 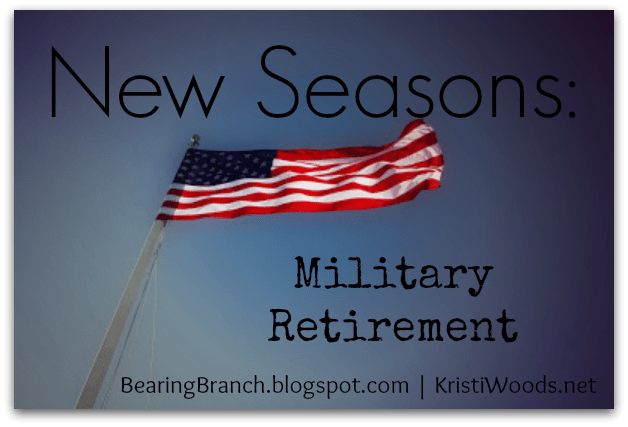 Many gals have asked me about my family’s transition into a new season, the move from active duty military service to a status of “retired.” Oh boy! Has it ever been a “new season”. The steps your feet traverse as they venture from one season to another may differ from mine and my family’s. But maybe, in light of our Almighty, they mirror one another, military or not. Listed below are a few of experience’s insights and words of encouragement that may help you along the way, regardless of your path…with the help of Ruth, of course. Like Ruth clung to Naomi, cling to the Lord. Through your transition there will likely be times when you don’t feel like clinging. God may seem distant. 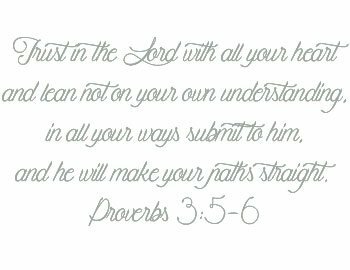 Cling to the Lord anyway, my friend. He is the One who knows the plans He has for you, and He is your ever-present help in times of trouble. As my husband transitioned out of the Navy and our family adjusted to retired life, communication from Heaven’s Commander-In-Chief was paramount. The decisions came quickly for us, but we wouldn’t have entertained them if there wasn’t peace in the midst of the prayers. Our biggest, not always easiest, moves have occurred when both my husband and I have had peace concerning a prayer point. The move to Oklahoma is proof positive. I had always been very vocal about not wanting to move to the Sooner State. I was adamant, vocal, and dug my heels in about not wanting to go. But when the job opportunity opened and we prayed, there was peace. We believed it was from the Lord, so my husband moved west and took this former heel digger with him. Reach out to a friend in person, on social media, or in phone calls and texts. Ask them to pray for you. Be real. Cry if you need to. I did this with my friend, Suzi. We were two time zones apart, but I messaged her with a cry for help. She answered. Nearly every day she would pray over me in a message. She was and is my “safe place,” a friend who allows the roots of “real” to be set. 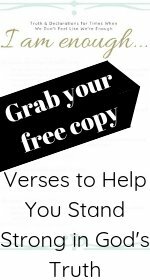 She sent, and continues to do so to this day, her daily Bible reading notes. She would challenge me when my thoughts went off track, and she would reach out a hand in love, daily. She was the aroma of Christ in my new season of change. Maybe you need that friend who will be an aroma? Seek them. Perhaps YOU are the friend called to be the fragrance as your friend transitions? Go to them. Be intentional. Be diligent and be love. 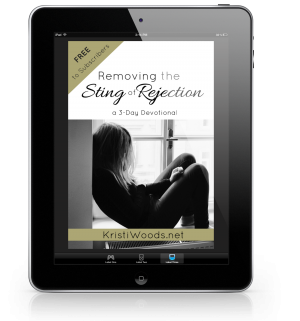 Although she didn’t know how the story would end, Ruth moved forward in faith. The provision wasn’t evident. She stepped anyway. New seasons often require that we step forward without knowing the end result. Seven rejections in less than five months. I looked at those and wondered whether I was doing the right thing. Should I, instead, venture out and get a 9-5 job? Wouldn’t it be better to bring home the bacon, or at least a portion of a slice, to assist my hard-working husband? Was I being a good steward of life’s new season by writing and (hoping) to speak more of God things? It has been my passionate desire for nineteen years to encourage others to root deeper in their walk with the Lord. NINETEEN! That’s longer than an elephant’s gestation period. (Which is nearly two years, by the way.) Sometimes the wait makes the step forward loom large, bigger than the elephant itself. Confidence in this long-seeded desire gave way to questioning. Lord, did I really hear You? Maybe this wasn’t my new season after all. A trip to my knees in prayer reinforced God’s call four times. FOUR. He always answers. Continue His work. Move forward in faith. New seasons or not, our lives are called to be a mix of melodies that worship a holy God. This new season is His as well. Regardless of what looms – worry, fear, and their friends, step forward in faith anyway. Because, just as Ruth had a Jesus in her future, we have Him too. And when we view our today, our new season, in light of Heaven, when we view it as a form of worship, the steps forward are made firm. Simply move forward in faith as He guides. Live life presently versus presently living in life’s past. The ID office was located in the Navy Exchange, a department store of sorts located on Naval bases. We rounded the corner and came face-to-face with khaki and blue uniforms. They were all there, neatly aligned on their hangers. I hadn’t expected my glance at the sea of tightly woven threads to invite a well of tears, but it did. I was grieving the familiar past that was being left behind. This gal was brought to tears by uniforms, of all things! …at least it was when others were going through it. But now we we going through it. And the grief was unexpected. A mountain of unknown stood before us. Our friends and lifestyle were suddenly far removed. The familiarity of each day had vanished, leaving us to feel as though we had been ostracized, pushed away, left out. I missed the daily uniforms, gate guards, talk of orders. There would be no morning wake-ups as the hum of cadence marched past our windows and no Call to Colors at sunset’s beckon. But that was the past. It was okay to visit and grieve a bit, those were normal emotions that required processing. You might have them at some point, too. However, had we stayed with our focus on the past, I am certain we would now be in the throes of an ugly present. It would have been as though we placed our trust in the past versus in the Lord, put our experiences and control on the pedestal, replacing the very One that lived there. We’re not meant to stay in the land of the past; we are made for His present and future. we are made for His present and future. Like Ruth, we are called to move forward in faith wherever the Lord leads. 1. Cling to the One, Jesus. 2. Move forward in faith, wherever God leads. 3. Live life presently versus presently living in life’s past. …and enjoy this new season. I can’t wait to hear how God is glorified through it. Loved this post! Moving forward in faith without being able to see the end result is hard, but the rewards can be so amazing! It is hard, moving forward w/o seeing. And you’re right, the rewards, oh the rewards! Thanks for the read and comment, Michelle. Hope your melody was a beautiful one today, Crystal. It’s all about worship. Have a wonderful weekend, my friend, and thanks for stopping in with the encouraging words. Glad you stopped in, Jamie, and that the words were encouragement for the battle. Go God, go! Kristi, thanks for sharing your journey and lessons learned from Ruth. I especially like “cling” to God with all your might. I don’t want to lose my grip on Him. The challenge to live in the present instead of looking to the past is always a good reminder to me. I have a nostalgic bent, and I need to focus on NOW! I’m so glad you stopped in, Betsy. I love seeing your smiling face on here. 🙂 Keep clinging, my friend.